Passport-sized photos are essential for any “round-the-world” backpacker looking to obtain visas for entry into certain countries. Whether it is to apply for one in advance from a neighboring country or to get one on arrival at a border crossing, many countries require one, or maybe two passport-sized photographs for reference or to be attached to the visa itself that goes inside of the passport. The style of travel I’m accustomed to requires a bit of flexibility and since I never know for certain which countries I’m going to visit until after I’ve left it important that I carry extra photos with me. For those reading who don’t know exactly what a visa means, it is basically an additional requirement or permit needed for entry into a country for a number of reasons, whether it is tourism, business or a resident work visa. As a U.S. citizen I’m incredibly lucky to have visa requirements waived for many countries throughout the world. That being said, there are still many in which visas are required. Yesterday afternoon I decided to run into CVS pharmacy across the street from my house to pick up about 18 passport-sized photos (2×2). It turns out that 2 photos cost $9.99. For a second I almost considered going through with it but quickly did the math and I was looking at nearly $100 for a few tiny photographs. This was completely unacceptable and I wondered how many other people have gone through and paid this much before? The cashier actually apologized as she realized it was way overpriced. I phoned my brother and asked him what he thought was the best idea. Seeing as though all the CVS worker was going to use was a digital cam I figured no professional assistance was required. I went over to my brother’s office at Tafuro Communications and he took a few photos of me against a clear wall. He opened up Adobe Photoshop and made a 6×4 canvas where he pasted 6 2×2 photos of me. 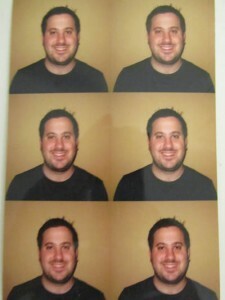 We then went on Walgreen’s website and uploaded the individual 6×4 photo and requested 3 prints. Each print cost $0.23. The total cost was under $0.70. I saved nearly $90! I waited about 30 minutes and picked them up from the store by my house. Now, all I have to do is run into kinkos and slice up the individual photos and put them in an envelope and I’m good to go! 6 for the price of 23 cents! 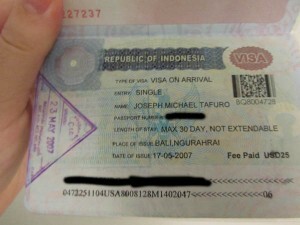 This entry was posted in Savings Tips, TEFL Related and tagged passport photos, saving, visa, visa on arrival by admin. Bookmark the permalink. I do the same thing at home. My printer prints passport size photos. I thought the background had to be white though?